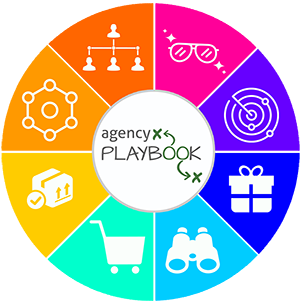 Want to fast track your agency’s growth trajectory? Are you looking to push your agency to the next level? Start thinking ahead and planning in advance for anticipated growth. Dig into your financials, loop your team in and get there faster when everyone’s on board. How to get into the growth mindset. How much cash reserves should your agency keep? What’s a healthy agency profit margin? #1 way to make sure your vision is being implemented. Today, I talked with Ted Kohnen, he is the non-founder president of Retina — a global full-service agency with a deep technical foundation. The agency brought Ted in as their President as part of their growth strategy, which makes him the perfect person to talk growth! 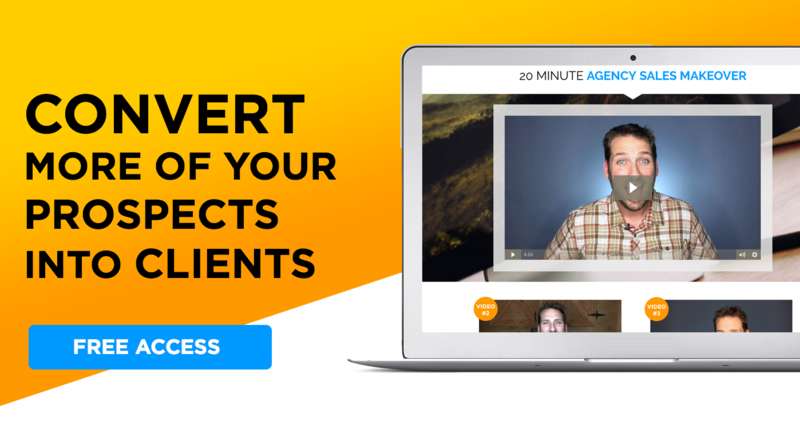 He’s here to share growth tactics and strategies that you can apply in your agency right now. When you’re looking to grow, start by looking at your balance sheet. Most agency owners come from the creative side or the account side, not from the financial perspective. Usually, agency owners hire a CFO and get right back to being creatives. Stop! If you really want growth, you need to understand your financials. Ted says you can get your hands dirty by paying attention to two main factors. 1. The near-term… This is your receivables, expenses, and cash flow. Understanding your near-term financials will help you manage your agency tighter. You know when and where you need to cut back and which business processes you need to find a way to automate or outsource. If you can see the bulk of your expenses, you can really start to dig into what your financial pain points are. 2. The long-term… This is your future expenses such as expansion, opportunity, and headcount. These are things you should be planning out when you’re looking closely at those near-term financials. The sooner you start creating a financial strategy, the sooner you can start growing your agency when the time comes. Pro Tip: Let your CFO know your long-term plans. If they don’t know, how can they help you get there? CFO insight and buy-in is key to getting where you want to go. Every agency needs to have some cash in the reserves, but how much is often a point of contention. Luckily, Ted’s here to save the day. Ted recommends keeping 6 months in the bank. To do this, you need a deep understanding of your pipeline. Just like you need to learn your agency’s financials, you need to be hyper-vigilant in learning what your pipeline looks like. Now, some of you may be saying, “We’re fine! We have like 7 months worth of cash flow in media spend!” Stop right there! Don’t mix your operating expenses with your float! Make sure you’re storing them in different accounts. If you rely on media spend for operating expenses, you’re going to get burned. Ted said (that’s fun to say) a healthy profit margin is around 20%. Now, you may remember my podcast with Mark Asquith who quit his agency at a 50% margin! But, that’s not typical. Anywhere from 15% to 20% is a healthy margin. If you’re over 20%, you may be neglecting research and development (employee education, culture, tech stacks, etc.) If you’re under 20%, you need to start crunching those number! Remember, it’s your responsibility to understand your financials, don’t rely on your CFO. If you’re within 10%, you may be fine. But, if you’re operating at a 5 – 10% margin, you need to pivot! One of the hardest parts of running an agency is trying to make sure your employees are on board with your vision. Ted says he took Sheryl Sandburg’s advice from her 2013 book, “Lean In.” And that advice is to make sure you take time to walk around and talk to your team (high-level to entry level.) Engaging your team in casual and easy conversation can ease their concerns and lets you know share your vision. This isn’t a formal “town hall meeting” nor is it schedule or have an agenda. He says to get to know your people on a personal level; which gets increasingly more challenging as your staff size increases. Make sure to foster those relationships outside of the office as well. Get your team involved with a charity and let them volunteer during paid work hours, or take everyone to a sporting event. Ted plays bubble soccer with his team! Whatever works for you, your team, and your company culture. Just be sure to engage with your employees and make sure you’re all carrying your vision forward. If you notice a particular employee doesn’t seem to share your vision, don’t put off the inevitable. Ted left us all a tip before he hopped off the podcast — look at requests for your time through a sharply focused lens. Don’t just take every meeting that comes your way. If someone wants your time but it’s not related to growth, employee culture, or client delivery, don’t give it to them! Do you know the 5 roles of an Agency CEO? Spending time getting to know your employees is way more valuable than that meeting about a new CRM that you don’t need!